Backing a team who conceded five goals at home last week to a non-league side two levels below them may seem an odd strategy, but there are reasons to believe Stirling can get back on track at Cowdenbeath in Scottish League Two. The Binos crashed to a nightmare 5-3 William Hill Scottish Cup defeat to 14-1 Lothian Thistle HV as goalkeeper Mark Foden had an afternoon to forget, but defeat shouldn't take away from what has been an excellent season by the Forthbank side. Ex-St Johnstone defender Dave Mackay had transformed his side into promotion candidates and they are top. They go to Central Park, with hosts Cowdenbeath enduring another woeful campaign. They were also dumped out of the Cup by non-league opposition last week when East Kilbride won in Fife. The Blue Brazil have picked up just one point and scored one goal in their last eight games, yet the top-v-bottom clash sees the favourites at odds-against. St Mirren were installed as new favourites for the Ladbrokes Championship this week and they can win at Falkirk. Falkirk had their first game under new manager Paul Hartley last week, but they were fortunate to escape with a point at home after being outplayed against struggling Inverness. Saints are full of confidence and with in-form midfielder Lewis Morgan, who continues to be linked with a host of English clubs, impressing and former Aberdeen kid Cammy Smith on form, St Mirren have been going great guns. 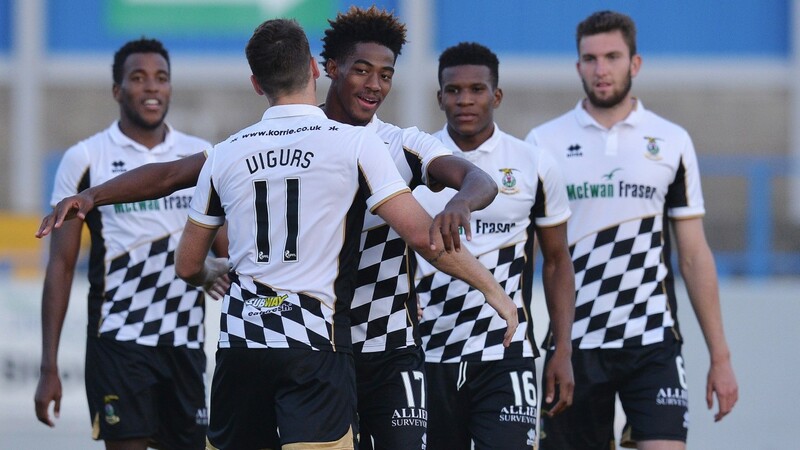 They have won three in a row in the league, and although they have had off days this season, they can win at Falkirk, who look as if they will take time to adjust to the new regime. Improving East Fife could add to the gloom at Alloa with a win. The Methil side produced a stunning comeback last week at home to Albion when they were 4-2 down with ten minutes left and won 5-4. Darren Young has slowly got Fife improving in Ladbrokes League One after a sluggish start to the season and they can win at the Indodrill Stadium against Jim Goodwin's men, who have struggled after last season's playoff loss. The Blue Brazil have picked up just one point and scored one goal in their last eight games.